Molds existed on the planet long before humans and will likely exist long after the last humans are gone. Humans evolved in a world heavily populated by molds and virtually every breath we take, indoors or out, brings us in contact with mold spores. Well in the last 20 years an industry has built up around the idea of "toxic molds." This industry preys on our fears and ignorance with mold being described as "black gold" in some circles. The reality is there is no such thing as "toxic mold." There are some mold species that are "toxigenic," that is they produce "mycotoxins." Mycotoxins are metabolites produced by molds that are capable of harming other living organisms. Molds evolved these metabolites as part of their strategy to battle bacteria (and each other). One of the most famous of these mycotoxins is a compound we call penicillin. Penicillin is produced by the mold Penicillium (one of the supposedly "toxic molds") and is essentially harmless to non-allergic humans in the concentrations encountered in our day-to-day lives. Certainly there are people who can be deathly allergic to penicillin. Approximately five per cent of individuals have some allergic airway response to elevated mold spore concentrations. But let's put that number into perspective, about 10 per cent of people are allergic to household pets. Issues with mold have been known since biblical times and everyone knows that you should not eat moldy food as it can make you sick. Only recently has airborne exposure been considered a concern. It has been argued that our current generation of mold panic can be directly linked to U.S. Centers for Disease Control (CDC) studies in 1994 and 1997. At that time, the CDC incorrectly linked lung damage in children to the presence of Stachybotrys chartarum mold. In 2000, this linkage was retracted by the CDC. Unfortunately, by then the damage was done and a few very lucrative lawsuitslater, the "toxic mold" industry was born. In order to grow, mold only needs warmth, moisture and food (often called "the mold triangle"...the mold version of "the fire triangle"). Molds will thrive at temperatures over 5 degrees C (and under about 45 degrees C) and humidity over about 50 per cent. Molds have evolved to live on pretty much anything organic in nature so can grow almost anywhere. To make it worse some molds, like Penicillium or Cladosporium, can tolerate colder temperatures. This is why you tend to find these two molds growing on rotting veggies in your fridge. So what is the truth about mold? The fact that is understood now, that was not fully recognized in the 1990s, is that it is not the mold in your house that is making you sick. Rather it is living in conditions where mold can thrive that actually causes illnesses. As explained by the World Health Organization in 2009. Every year we look forward to summer vacations, camping, family reunions, picnics, and the Fourth of July. Summertime, however, also brings fires and injuries due to fireworks and outdoor cooking. Tell your community, the best way to protect their families is to not use fireworks at home. The U.S. Fire Administration recommends attending public displays and leaving the lighting of fireworks to the professionals. A study by the U.S. Consumer Product Safety Commission shows that over 200 people on average go the emergency room every day with fireworks-related injuries in the month around the July 4th holiday. Fireworks are dangerous! Know how to prevent a burn while you enjoy outdoor activity this summer. Keep a 3-foot safe zone around grills, fire pits and campfires. Attend public fireworks displays; this leaves the lighting to the professionals. 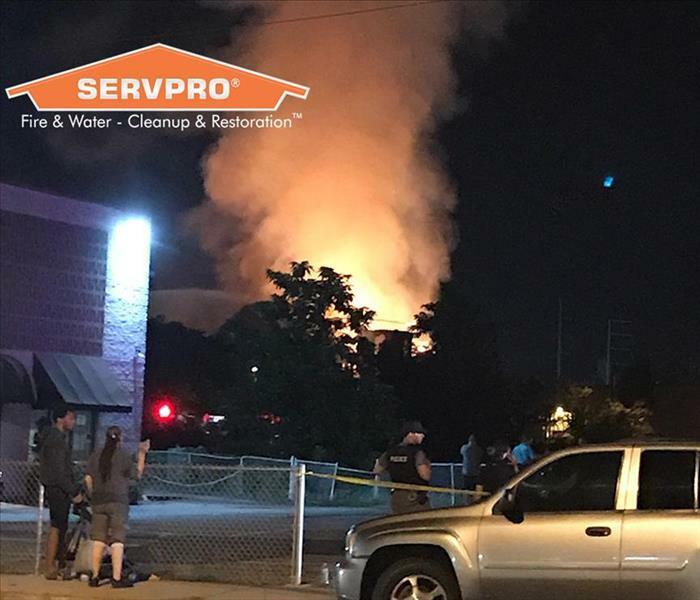 Incase if you need restore fire damage, we are here to help, Contact SERVPRO of Branford/Shoreline. 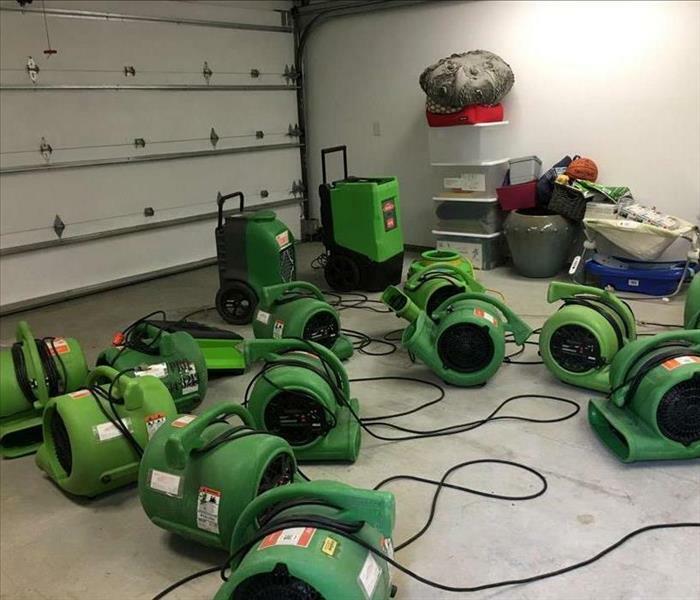 The very worst time for water damage to occur is when you’re away from home. 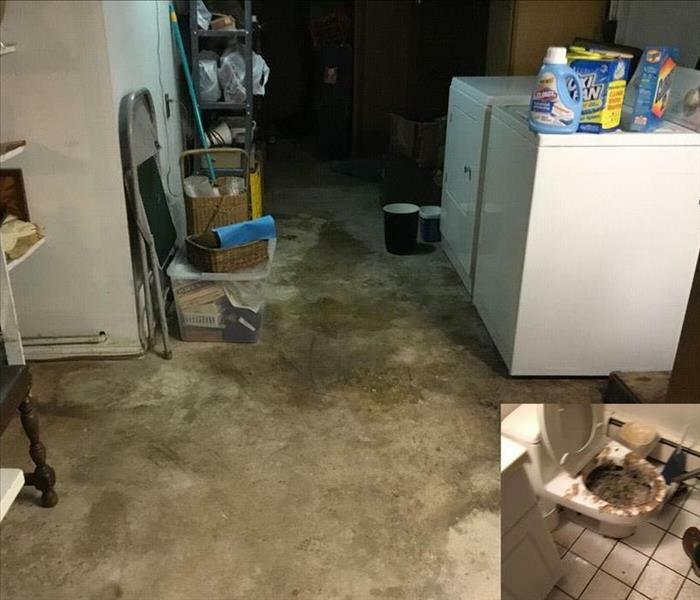 What could be worse than coming home from a relaxing summer holiday only to find that your home has been flooded or severely damaged by water. Unfortunately, this happens more often than you might think. In fact, the second most common insurance claim filed by homeowners is water damage to the home. Whether it’s from ruptured washing machine hoses, leaky supply lines, or a busted pipe, the consequences can be devastating. To avoid disaster while you’re on holidays this summer and the need for water damage remediation, here are a few tips that will help to protect your home. If you use an air scrubber in a room that has mold damage, for example, the scrubber will remove mold spores and other allergens from the air. It will not, however, remove the humidity in the air. To capture settled spores, professionals often use oscillating fans in the same room as the scrubber, placing them in a strategic manner, so the moving air stirs up spores that settle on surfaces. Install smoke alarms in every room. They should also be outside each area and on every level of the building. Install alarms in the basement. Large commercial property may need extra smoke alarms. It’s summer, do you know that heat may cause illness or even death? When temperatures rise to extreme highs, reduce risks by taking the following precautions. If you smoke, smoke outside. Most deaths result from fires that started in living rooms, family rooms and dens or in bedrooms. 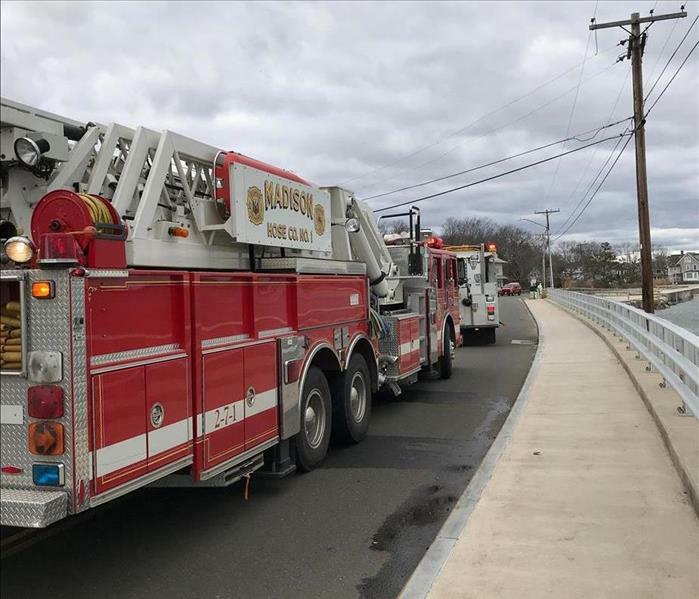 When fire damages your property in Branford, Connecticut, the situation that results is often heartbreaking and overwhelming to deal with. 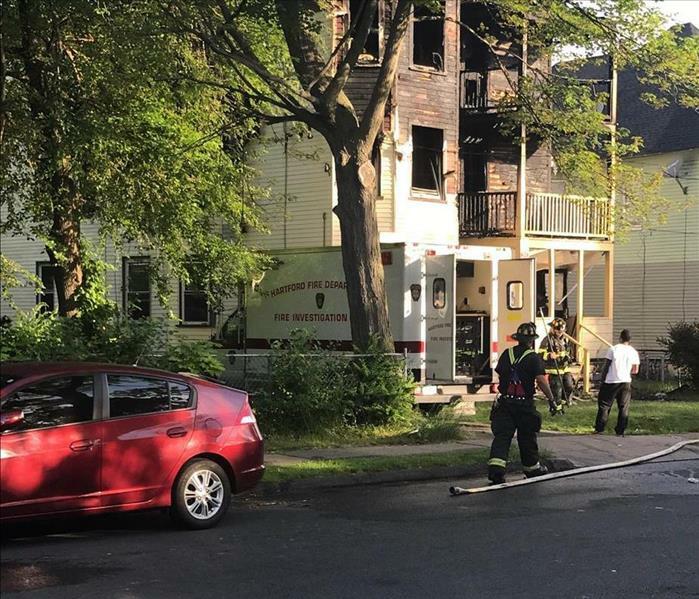 The main causes of a house fire can range from food left unattended on the stove, candles, burdened electrical connections, cigarettes or cigars or lighting and appliance malfunctions. 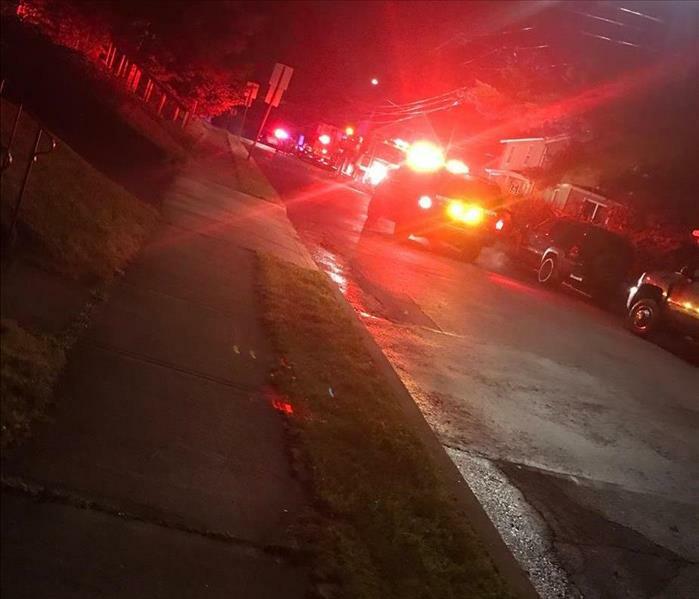 From the moment, a fire starts to the point where the structure is fully engulfed is usually less than two minutes, which is why it is so important for occupants to get out of the home as quickly as possible and not try to put out a large fire themselves. One of the most common misconceptions about house fires is that the emergency services will provide a fire damage restoration service. Unfortunately, this is not the case. You’re bound to have damage from fire, smoke, and water from the fire-fighter’s efforts. 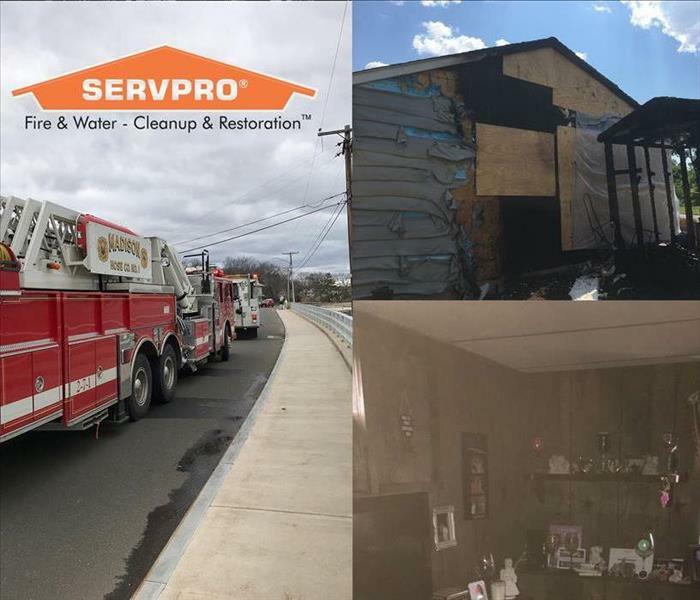 For all of this, you need to undergo a restoration process with a reputable fire restoration company in North Branford, CT? 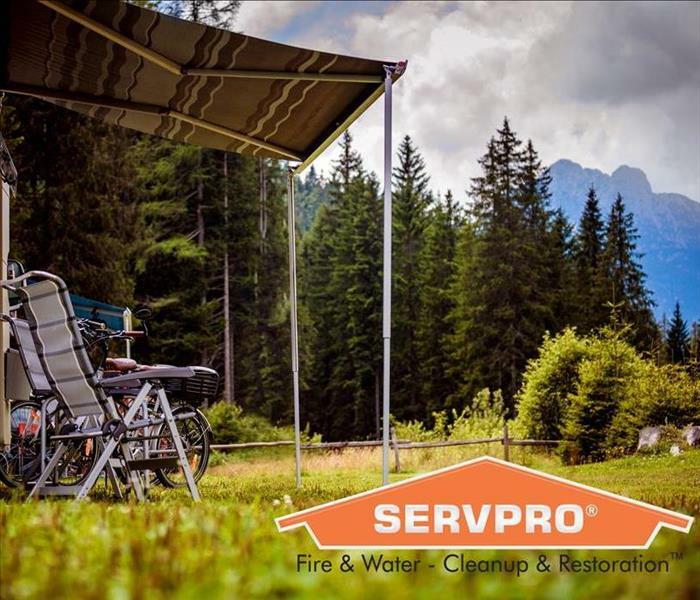 Call SERVPRO of Branford/Shoreline today. You might think that the damage from a fire is not a big deal, but what lurks behind can do serious harm to your body. Don’t risk getting sick and hire professional fire restoration company to clean up after you. This way, you can make your house a home again as quickly as possible. 8/7/2018 - What is Mold? 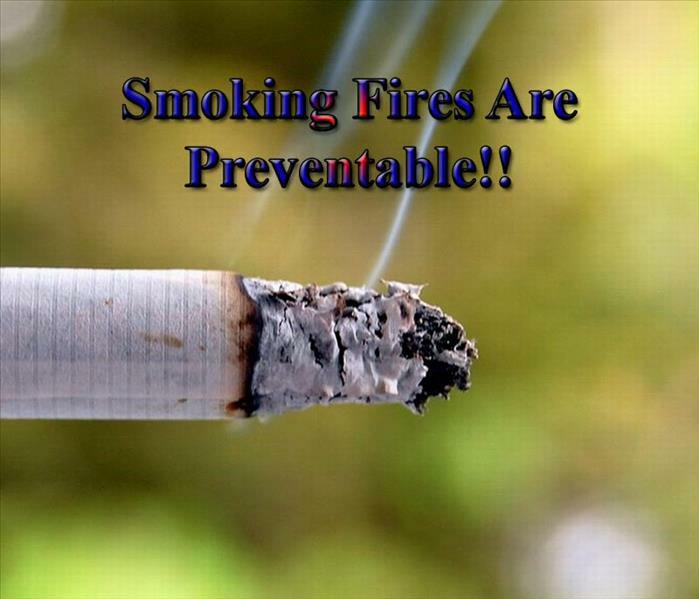 6/15/2018 - Smoking Fires Are Preventable! !